Size: approx. 5-10 mm. Photo: 09/12/11, 11 pm. 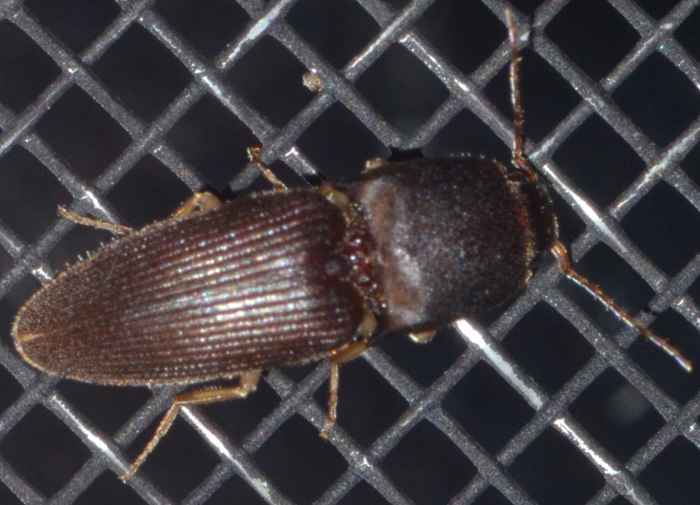 This click beetle is a Gulf Wireworm (Heteroderes amplicollis). It is not native but was introduced from South/Central America. Click beetles can produce a loud click sound by snapping a spine on the prosternum into a notch on the mesosternum. This trick can bounce the beetle into the air to avoid a predator or simply to get back on its feet.